Over pronation or supination stresses the joints and ligaments. The X-SOCKS Marathon with Supronation Bandage stabilises the foot in its natural rolling movement and keeps it from turning inward or outward. The runner is better protected and runs more efficiently. 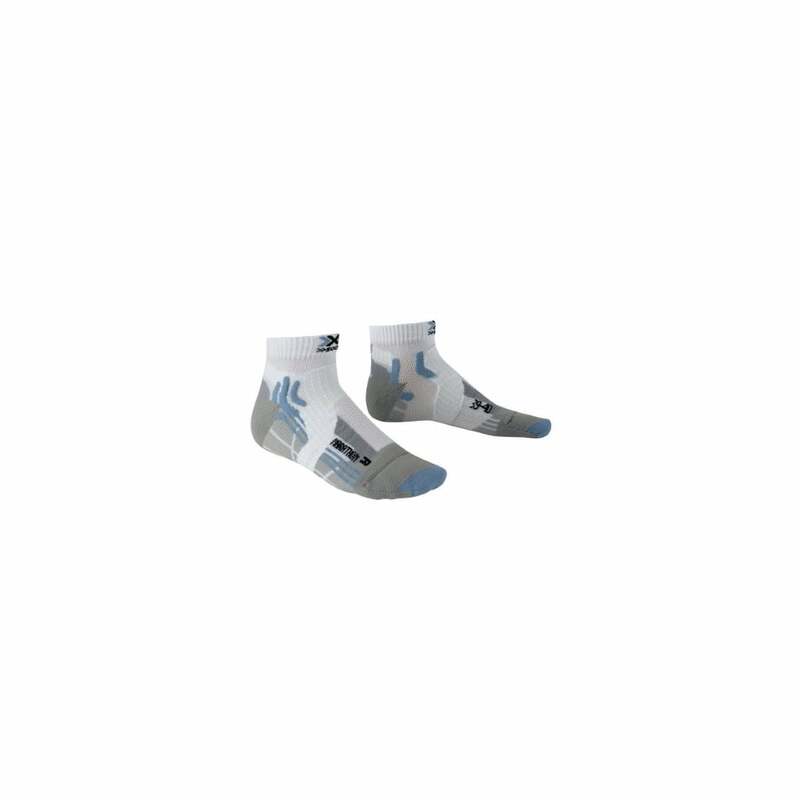 Together with other proven X-SOCKS technologies, this sock is the ultimate for marathons. Self-adjusting Cuff – adapts to any size leg without slipping or constricting. Narrow Arrow Construction – perfectly shaped for a woman's foot. Elisabet's choice for MdS! Perfect for all your adventures!